Today I am reviewing the G&L ASAT Special deluxe carved top guitar that I have been lucky enough to see up close and personally at Badlands Guitars in Brighton. 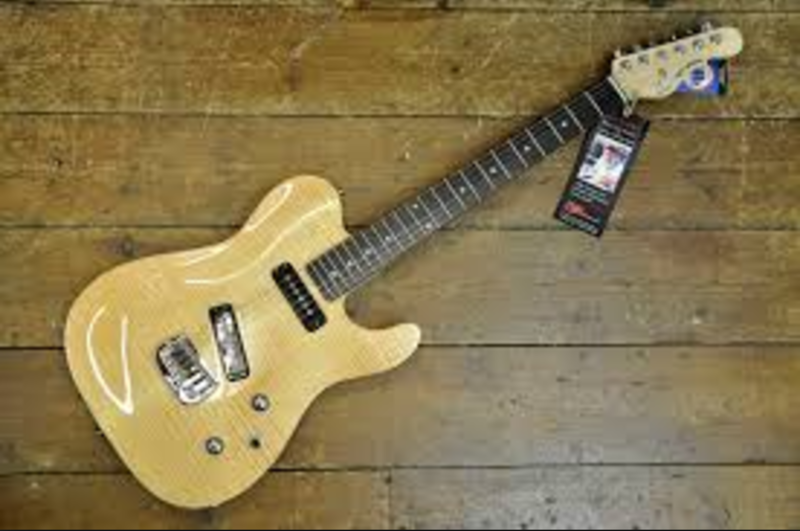 G&L have managed to stun me again with this beautiful carved flame maple top over swamp ash body guitar for just £579! It is loaded with 2 Fullerton USA P90 pickups, the saddle lock design hard tail bridge, 3 position pickup switch and single volume and tone controls. This guitar could perfectly compliment smooth jazz chord vamps and then stand up to punk rock and indie with ease. Only the combination of Fender and Fullerton could give birth to a creature this marvellous at a price that isn’t a lifetime away for most. What I liked most was the Telecaster appearance, with an edge that makes you second take at it every time. The saddle lock bridge helps give you amazing sustain complimented by an array of tones on offer to please any player. Tom Clark is a Brighton guitar tutor who recommends Badlands Guitars for anything guitar in Brighton and East Sussex.